Photograph of College President, Mr Colin MacKay, laying a wreath at the tombstone of the founder of the College, Maister Peter Lowe, at Glasgow Cathedral. 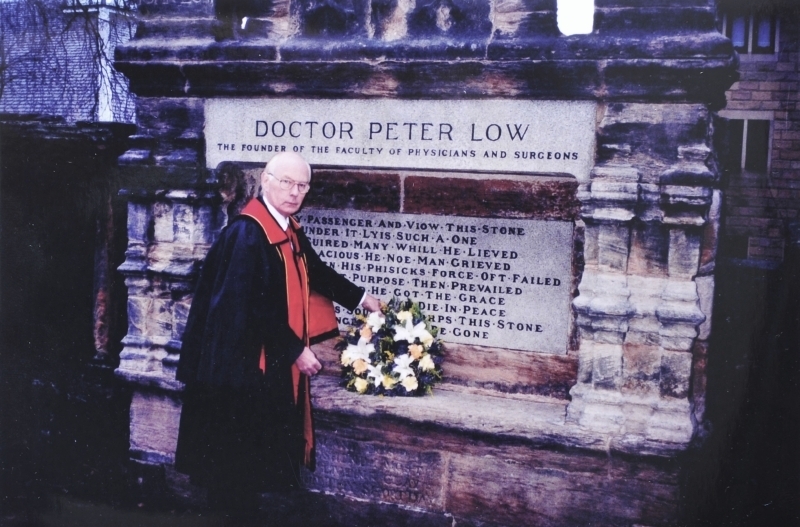 “Mr Colin MacKay laying a wreath at the tomb of Peter Lowe,” Heritage, accessed April 23, 2019, https://heritage.rcpsg.ac.uk/items/show/227. 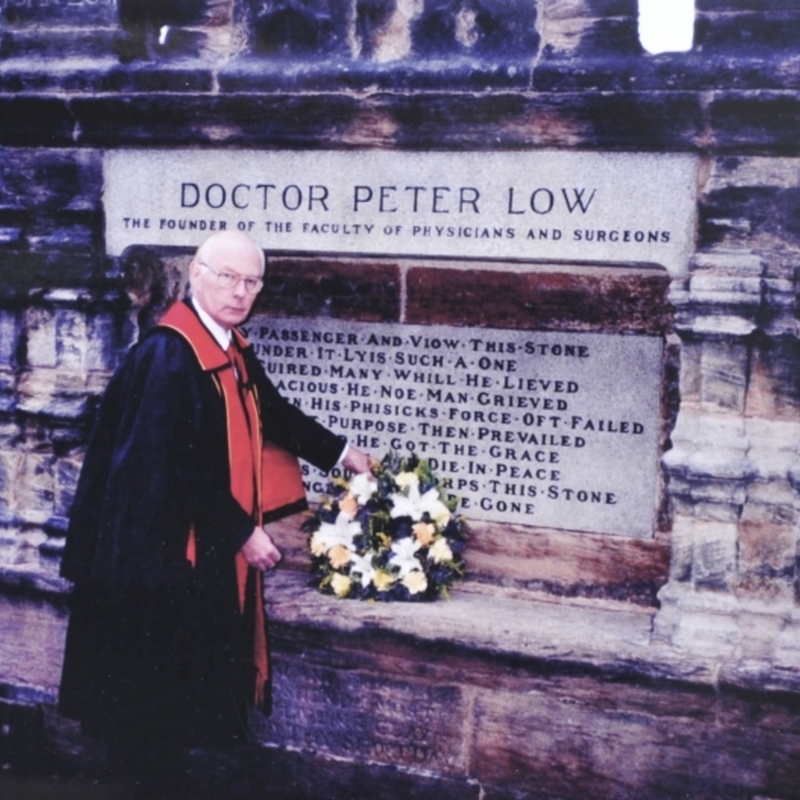 Description: Photograph of College President, Mr Colin MacKay, laying a wreath at the tombstone of the founder of the College, Maister Peter Lowe, at Glasgow Cathedral.